Yes, the day has finally arrived! 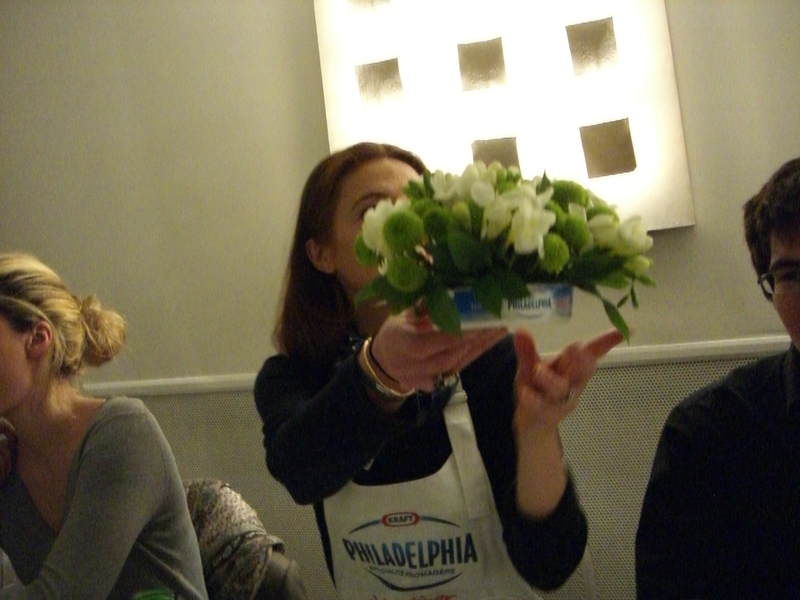 It is Spring in Paris and Philadelphia Cream Cheese is set to launch nationwide! The last country in Europe to welcome Philadelphia’s cream cheese, Kraft is making up for lost time by rolling out the culinary red carpet for this American staple. Many French people are quite well-adapted to life without cream cheese. Paris is not like Brooklyn – there are no bagel shops everywhere you look. And cream cheese and croissants are not necessarily a natural fit. Still, if you want to make a real NY Cheesecake, it’s the Philadelphia cream cheese that will render your recipe authentic. And if you do have a craving for lox and bagels one morning in the City of Light, you can now rest assured that you will not have to make the trek to Le Grand Epicerie just for that small package of cream cheese. 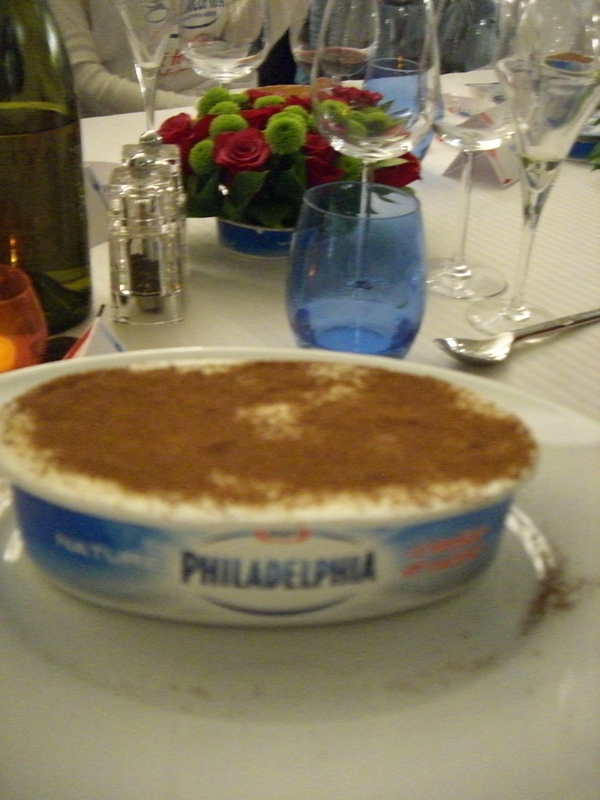 No, as of the beginning of April, in Paris and all over France, you will be able to find Philadelphia Cream Cheese in their newly designed oval plastic container, in just about any grocery store. 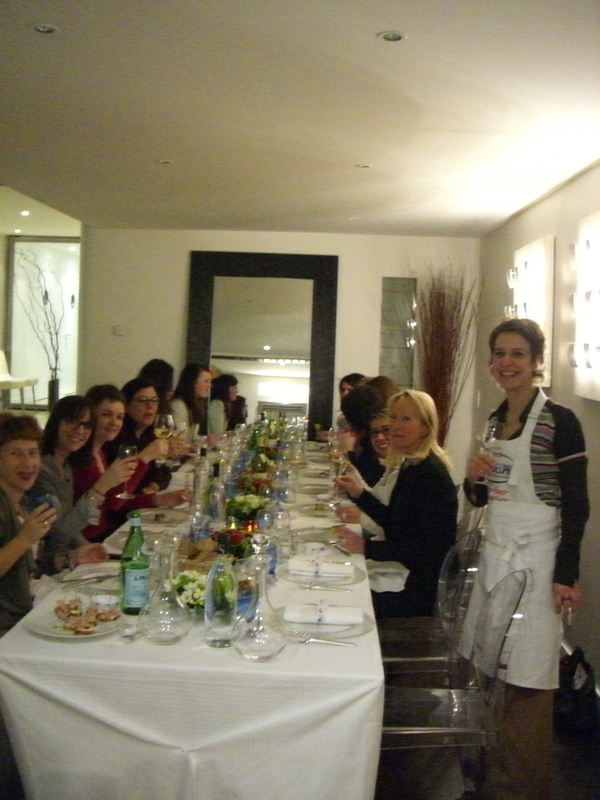 Alba Pezzoni, of Parole in Cucina, the formidable Italian Chef who’s got an enthusiastic following all over Paris, delighted us invited guests at a dinner just off the rue Montorgueil recently with Lasagna a la Philadelphia cream cheese and even Tiramisu, too. The hit was finely sliced zuchini rolled around herbed cream cheese, drizzled with virgin olive oil and served as an appetizer. Question: Which comes first? The bagel or the cream cheese?